Hasbro's PR team kindly sent along a press release with many new and some neewish exclusives! More are coming this fall, but for now, here's a look at what you can expect on (or around) Friday, September 30. 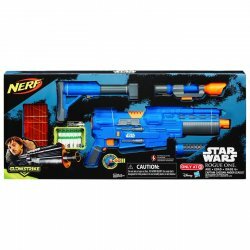 None of the 3 3/4-inch figure exclusives are listed here, but 6-inch, prop replicas, Nerf guns, and more await you. Bring home your very own astromech droid with this programmable and interactive R2-D2! 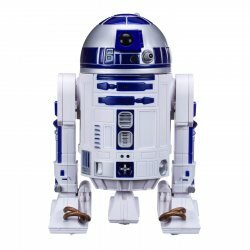 Download the accompanying app to control R2-D2’s movements and actions. 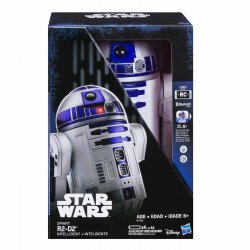 Listen as R2-D2 responds to your voice with expressive droid sound effects, and watch as R2-D2 shakes in fear of DARTH VADER. The SMART R2-D2 even recognizes music and dances along to the lyrics of your favorite songs. Requires 4 AA batteries, not included. App is available for free on iOS and Android devices. Available exclusively at Walmart. A skilled warrior in the Rebel Alliance, JYN ERSO is on a mission to destroy the Death Star! 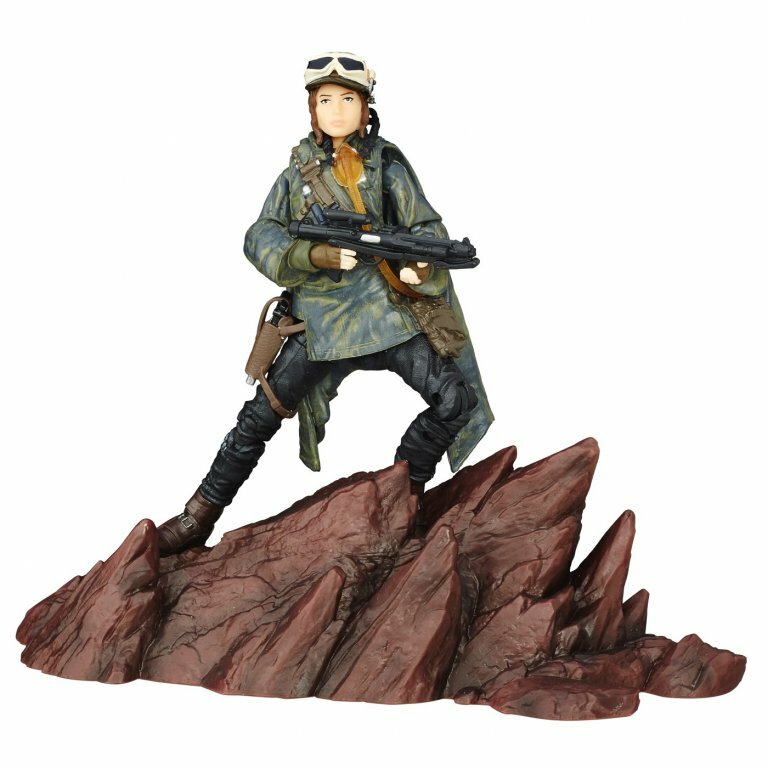 This collectible 6-inch figure features extensive articulation and detail, including a new poncho and hat as seen in the film. 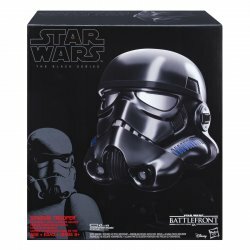 Fans can connect an additional STAR WARS: THE BLACK SERIES figure with diorama base to create the ultimate collection. Each sold separately. Available exclusively at Kmart. Disguise your voice like the shadow warrior from ROGUE ONE: A STAR WARS STORY! Intimidate the Rebel Alliance with mirrored lenses and an exclusive black SHADOW TROOPER deco. Press the button to activate voice-changing technology for several seconds, allowing for hands-free play! Requires 3 AAA batteries, not included. Available exclusively at Amazon. 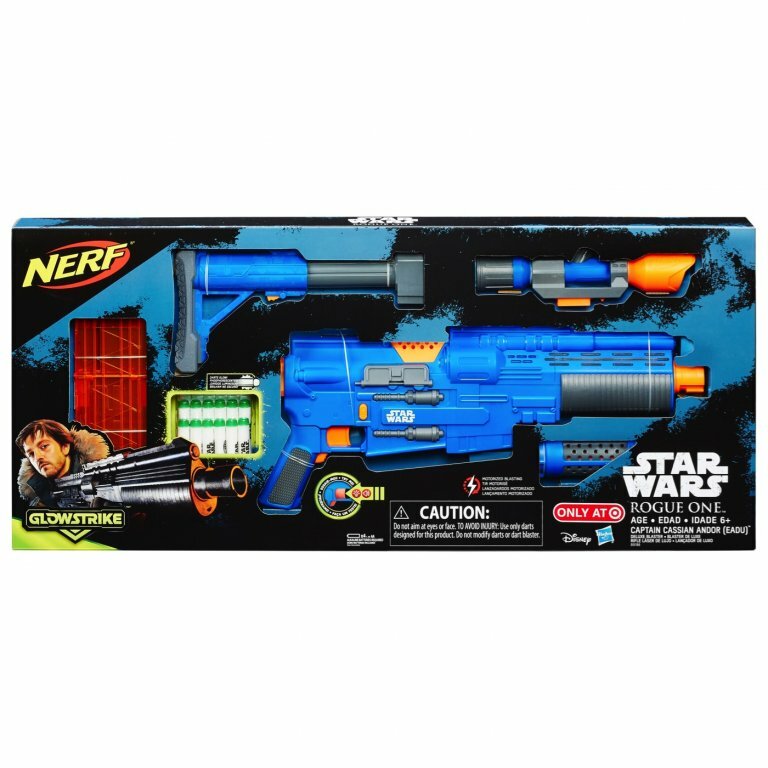 Gear up for battle against the Galactic Empire with a customizable blaster for almost any mission! When the battle escalates, attach the scope, stock, or barrel for enhanced precision and targeting. Features exclusive blue deco and 6- dart clip with 12 glow-in-the-dark darts for nighttime operations. Available exclusively at Target. 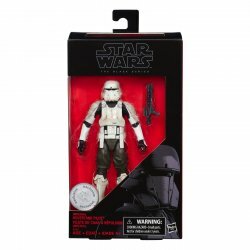 An elite soldier for the Galactic Empire, this impressive 6-inch scale IMPERIAL HOVERTANK PILOT figure features articulated movement and true-to-story detail. Recreate battles from ROGUE ONE: A STAR WARS STORY with exclusive army building unit and new pilot character class. Available exclusively at Toys “R” Us.